“Merry Xmas Everybody” is a 1973 song by the English rock band Slade. Written by lead vocalist and guitarist Noddy Holder and bassistJim Lea, and produced by Chas Chandler, it was the band’s sixth number-one single in the UK. It earned the UK Christmas Number One slot in December 1973, beating another Christmas-themed song, Wizzard’s “I Wish It Could Be Christmas Everyday”, which reached fourth place. By mid-January it was still at number one; it stayed in the UK Singles Chart well into February 1974. Based on melodies from discarded songs written six years before, “Merry Xmas Everybody” was Slade’s best-selling single, released at the peak of their popularity, and sold over a million copies upon its first release. It is Slade’s last number-one single, but by far their most successful. It has been released during every decade since 1973, and has been covered by numerous artists. In a 2007 poll, “Merry Xmas Everybody” was voted the UK’s most popular Christmas song. The song has been covered by various artists. An acoustic version was performed on The Royle Family’s Christmas Special episode, by guitarist Noel Gallagher, from the band Oasis. R.E.M.’s 2007 Holiday Christmas single included another cover of this song. Let’s have a look at the different homes you can find in Britain. 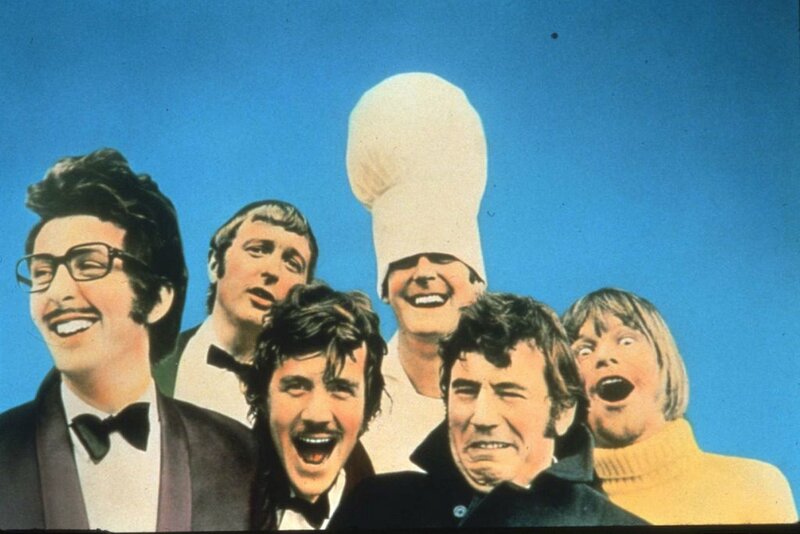 Monty Python’s Flying Circus (known during the final series as just Monty Python) is an innovative, highly influential BBC TV sketch comedy programme from the Monty Python comedy team, and the group’s initial claim to fame. The show has been noted for its surreality, risqué or innuendo-laden humour, sight gags and sketches without punchlines. It also features the iconic animations of Terry Gilliam, which are often sequenced or merged with live action. 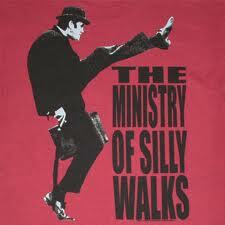 “The Ministry of Silly Walks” was a sketch from episode 14, first aired in 1970. 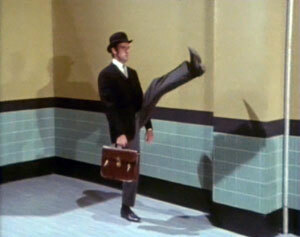 This sketch involves John Cleese as a bowler hatted civil servant in a fictitious British government ministry responsible for developing Silly Walks through grants. 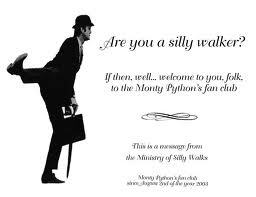 Cleese, throughout the sketch, walks in a variety of silly ways (including one that briefly imitates the scissor gait of spastic diplegia), and it is these various silly walks, more than the dialogue, that has earned the sketch its popularity. Just in case you don’t know who Sir Ken Robinson is, you can discover it here. Summing up, we can say that he is one of the most prominent authors and researchers when referring to education, creativity, innovation and human resources. He is an author, speaker and international advisor on education in the arts to government, non-profits, education and arts bodies. He was Director of The Arts in Schools Project (1985–89), Professor of Arts Education at the University of Warwick (1989–2001) and was knighted in 2003 for services to education. Originally from a working class Liverpool family, he now lives in Los Angeles with his family.